Every student, during his or her studies, deal with tons of terms, concepts, theories, and their authors. It is neither possible to learn all of them nor keep in mind all the learned ones. But here comes a handy tool which every student needs to own, a dictionary. Apart from general English-language dictionaries, there are also subject-specific ones which can help students tackle various academic disciplines. Below, we will provide you with 6 outstanding tools for learning and reference by Collins. This medical science dictionary is aimed at all medicine-related students, including future doctors and nurses, as well as various healthcare professionals (both medical and administrative staff). The dictionary gives definitions of terms used in all fields of medical science, from pharmacology to surgery. A special place in this reference book is dedicated to numerous conditions, symptoms, and medication. Collins Dictionary of Medicine can be especially helpful to students when it is used along with textbooks. Many report now that the dictionary has helped them enter the medical realm. If you are a science student, then you will definitely need this one in your kit of academic tools. It will provide you with a multitude of concepts from a variety of disciplines, including maths, physics, chemistry, natural sciences, and even more. It is packed with over 200 illustrations, including diagrams and drawings. Among the appendices, you will find such indispensable tools as the Periodic Table, SI Units, and references to a number of scientific websites. It can be used by high school students and college students who need to revise the materials. It will be especially helpful to those who want to get an insight into some terms and concepts from the neighboring disciplines or subject areas outside of their comfort zone. This dictionary addresses the trickiest aspects of the language, such as homophones, capitalization, apostrophes, compound words, acronyms, and more. It is supposed to aid students in the situations where they are stuck with a particular word not sure if it’s the right one. Collins Dictionary for Writers and Editors will be of great use to students struggling with their writing assignments at every stage of the writing process, from crafting a paper to finalizing it. While it won’t boost your vocabulary, it will relieve you from common mistakes and help you at the time of language uncertainty. This dictionary is packed with 9,000 mathematical concepts and terms, and makes it easier for students to grasp them with the help of diagrams and illustrations. Appendices include reference websites, lists and tables of symbols, formulae, derivatives, constants, integrals, and more. First and foremost, this dictionary is recommended to undergraduates and also to those who are interested in maths. Students can make great use of it when looking up definitions or revising the course materials. 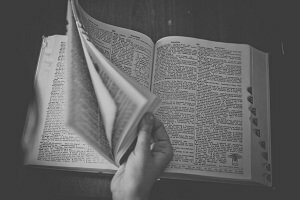 This dictionary takes its data from the bank of English corpus and introduces the essential new words that have come into the language during the previous few years. It provides the readers with neologisms, both words and phrases, while providing the context and synonymic expressions. Also special the words and phrases are rated with diamonds to mark the importance of remembering them. It is not only the newest dictionary of the six we’ve reviewed here, but the largest one. With 2,340 pages of 722,000 definitions and 5.8 pounds of weight, Collins English Dictionary is an absolute classic. This revised edition includes the most important words and expressions in the present-day English language, both spoken and written. Actress Judi Dench said that Collins English Dictionary would be the book she would take to a desert island with her, and The Times named it an absolute must in every home. This makes it every student’s requisite. This list of 6 Collins dictionaries is not exhaustive. There is a number of other reference books by the same publisher which will suit different groups of students, from the universal dictionaries to subject-specific ones. If you don’t have any of those yet, you should definitely get one. You might start from the Collins English Dictionary.